Enjoy a Little "Me Time" with Garnier Whole Blends - Frugal Mom Eh! January used to be one of the least loved months of the year for me, but this year it just feels different. September through December was insane for me; between moving and the crazy work schedule I was following just to keep up with my blog. Part way through December, I decided that I needed to slow down, do a little more for myself and work on being happier. It was one of the best decisions I’ve ever made. I’ve started eating healthier, working out almost daily and I’ve even taken up Yoga a few times a week – I’ve lost a ton of weight in just 3 weeks and feeling better for it. 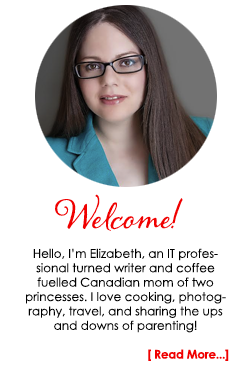 The biggest change throughout the last few months is that I’ve been forcing myself to just stop when the girls take a nap, disconnect from my laptop and phone and relax with a cup of herbal tea and a good book. Of course, my favourite time of the day is after I get the girls into bed and I can finally hop into the shower. There is nothing like hot water to wash away the stress of the day and unwind. Lately, I’ve been enjoying a little “me time” and pampering myself in the shower with the new Garnier Whole Blends hair care products. I was sent the Garnier Whole Blends Honey Treasures shampoo and conditioner, formulated to strengthen hair and help prevent split ends & breakage. The Garnier Whole Blends line are Paraben Free, contain Natural Extracts and use gentle sulfates. 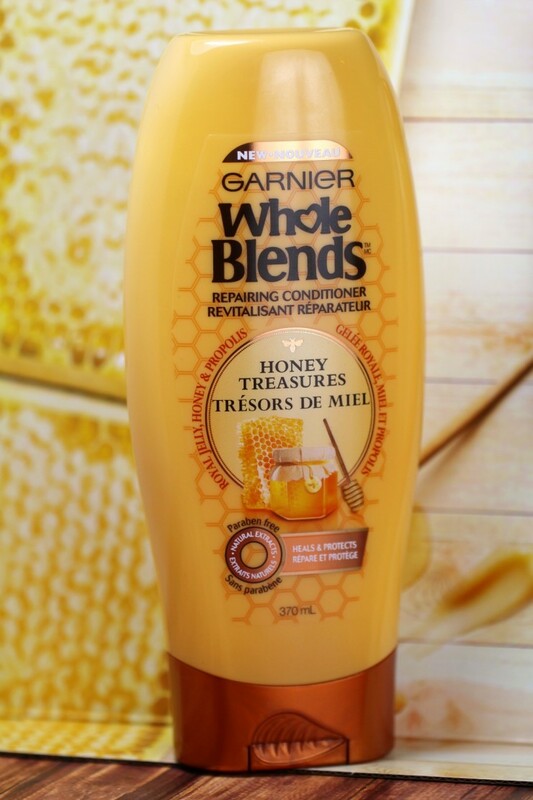 The formula for Garnier Whole Blends Honey Treasures includes Royal Jelly, Honey & Propolis Extract in the ingredients. I was really impressed with the experience from the start. 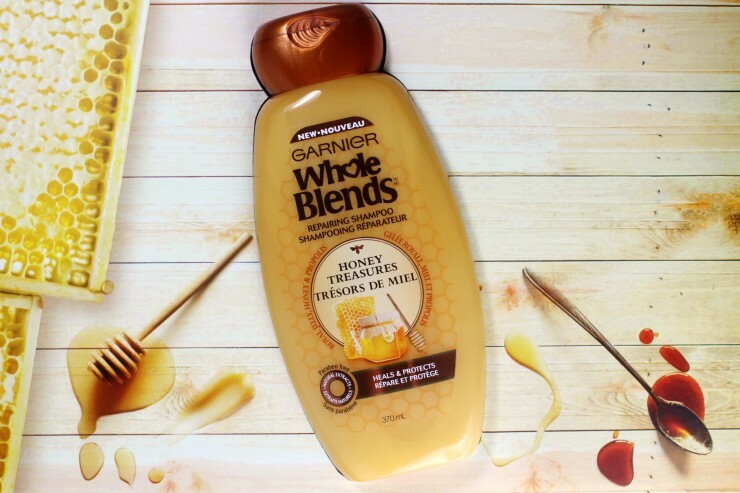 Using the Garnier Whole Blends Honey Treasures products, I felt as if my hair was enrobed with golden honey thanks to the delicious scent. 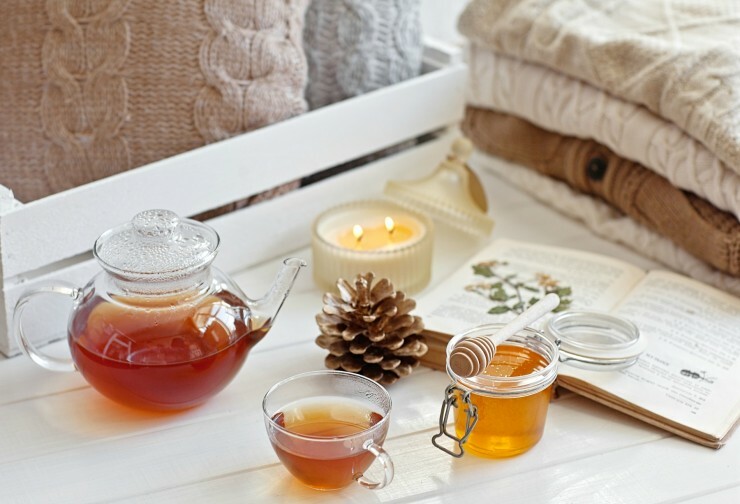 Each time I wash my hair with it, I am reminded distinctly of my afternoon ritual of drizzling honey into a cup of hot tea before getting cozy with a throw and a book in my sitting room. The smell of honey and the silky smooth feeling of my hair as I rinse the conditioner out really feels like an indulgence I want to prolong and enjoy. I love the lasting effects of this little bit of pampering too. I can smell the sweet golden scent of honey following me every-time I move my head and smelling my hair is simply heavenly. I absolutely love how it smells! Plus, my hair feels soft, and surprisingly less frizzy and shinier than usual prior to straightening it out. 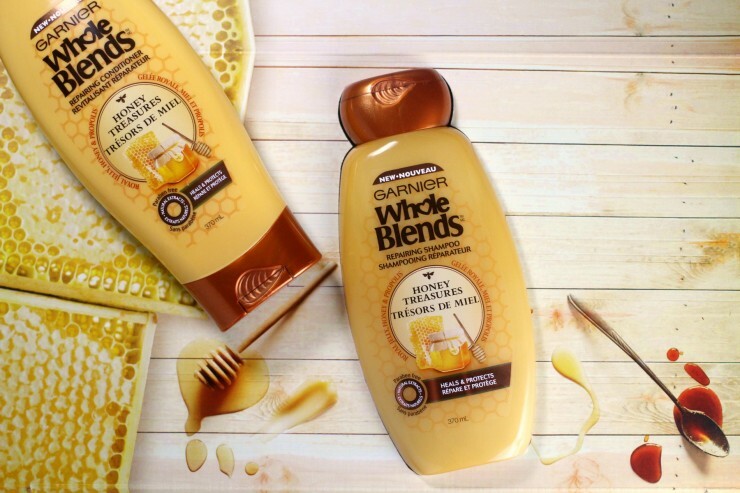 Each blend focuses on a unique hair action, for example, Honey Treasures heals and protects. I’m very curious about the other blends now and can’t wait to give them all a try, although I am fairly hooked on this particular blend! Interested in trying out Garnier Whole Blends yourself? 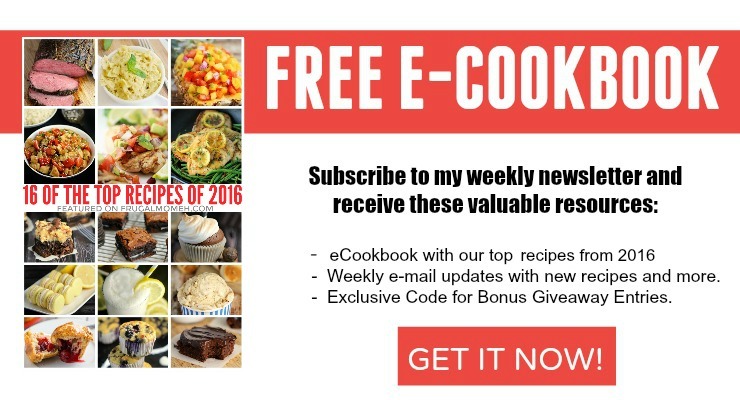 Get a free sample! Let’s chat about Garnier #WholeBlends! Join the upcoming Twitter party on February 4, 2016 at 7 PM EST. Disclosure: Although this post has been sponsored by Garnier Whole Blends, the opinions and language are my own. If you have not tried this yet you just have to,its so creamy and made my hair feel so very soft! Those sound so nice. I always used Garnier products before I started getting keratin treatments. I love the smell of honey so I can’t wait to try this product. Hopefully I can find it in here. I tried doing the free sample but it seems like it’s for people living in Canada. I haven’t seen these products anywhere yet. 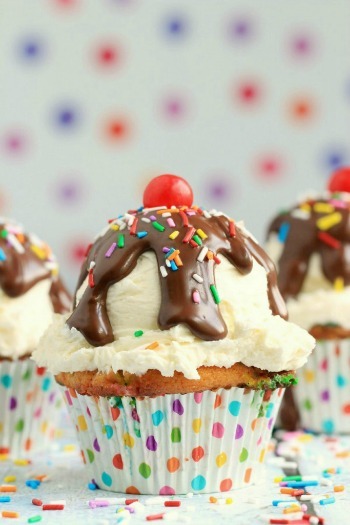 I’ll have to watch for them because this looks amazing. I love the smell of honey and I love Garnier products, so I’m sure I’d love them. I have never tried Garnier Whole Blends hair care products before. 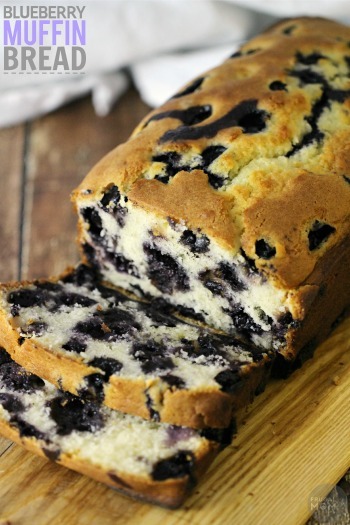 I will have to pick some up and give it a try. My hair could really use Garnier Whole Blends hair care products. It is so dry from this cold winter weather. I am excited to try it. I just tried Garnier Whole Blends this week. My hair is so soft and healthy looking. My Daughter loves it. Have not tried this yet, love the packaging tough, looks wholesome like a jar of honey. That sounds like an awesome product! I wonder how it will do with my curls. You have to take some time to treat yourself every once in a while! I haven’t tried this product from Garnier, yet. This sounds awesome. I have to get this. I had no clue they came out with this line. I’ll be checking it out for sure. I can’t get enough of the smell of honey! But what are the ingredients? 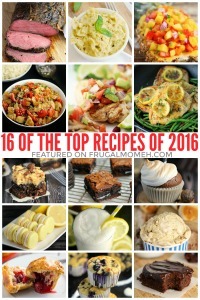 Can’t find the list anywhere.